Your Canon EOS Rebel T7/2000D camera offers the following exposure modes, which you select via the Mode dial on top of the camera. Only P, Tv, Av, and M modes provide access to all camera features. 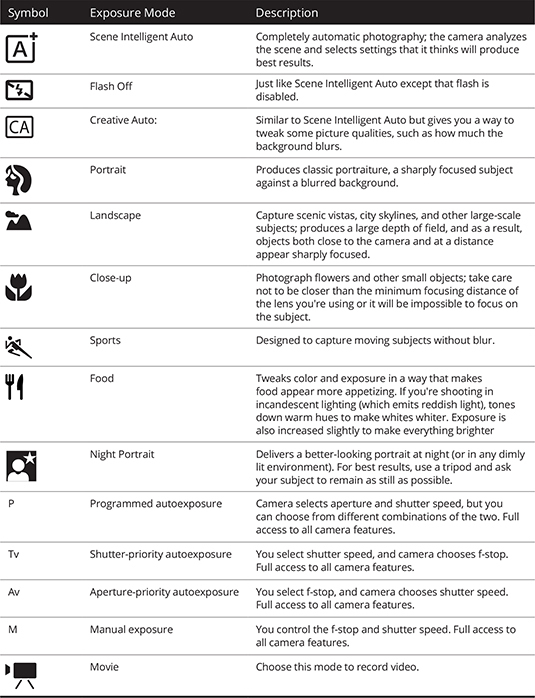 The other modes are automatic, point-and-shoot modes, but some do enable you to make small adjustments to exposure, color, and other photo characteristics.